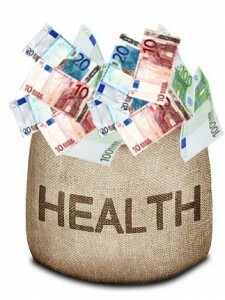 • Do you want to save money and get the best health insurance plan for your needs? • Are you aware of how the Lifetime Community Rating can affect your pocket if you wait to take out health insurance after May 1st? • Do you know which plan will give you the best return on your Chiropractic care? You might be thinking this is an unusual subject for me to write about, (and you’d be right!) but I felt it important to share this information. I found out a while back that we’ve been paying more than we should for health insurance. We have invited Nicholas Charalambous to our office next Tuesday 21st April for our monthly speaker series to show you how you can save money and answer all your health insurance questions. Nicholas is owner of Alpha Health, a local financial services company and a genuinely great guy. He explained that many plans have an excess of €300 (this is the amount you pay before you can claim) and how you can bring this down to only €1! Thanks to Nicholas I have saved hundreds and changed to a much better plan. A plan the insurance companies won’t even tell you about! I want the same for you. I’d hate to think you are paying more than you should for an inferior product. Have you heard about the important changes to the health insurance market taking effect at the end of April? If you’re 35 years old or older and haven’t taken out health insurance at any stage in your life, then you should probably pay attention to Lifetime Community Rating. Anyone aged 35 or older taking out health insurance for the first time after 30th April will have a permanent age-related loading of 2% per year of age over 34 applied to their health insurance premium. For example, A 30-year-old who waits until she is 40 to get health insurance will pay 20% more than her colleague who does so before the end of this month. A significant difference isn’t it? It’s a fact that over 50% of people in Ireland are paying too much for Health Insurance. Make sure you’re not one of them! Next Tuesday 21st April, I invite you to Optimal Chiropractic, Ballincollig at 6:15pm to learn more. All our monthly speaker events are free and spaces fill up really quick so please call Mary on 021 487 8465 to reserve a seat for April 21st. We’d love to see you! Please remember to share this post on Facebook. All your family and friends need to know about this.